WASHINGTON – U.S. Sen. Chuck Grassley along with Sens. Rob Portman of Ohio, Steve Daines of Montana, Johnny Isakson of Georgia, Mike Enzi of Wyoming, John Barrasso of Wyoming, Jim Risch of Idaho, Mike Lee of Utah and Lisa Murkowski of Alaska introduced the End Government Shutdowns Act to permanently prevent the federal government from shutting down, ensuring that essential government services aren’t disrupted and protecting taxpayers who must bear the resulting cost. 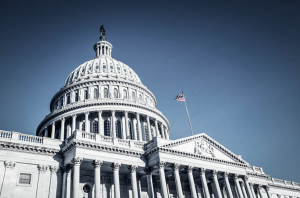 The measure will create an automatic continuing resolution (CR) for any regular appropriations bill or existing CR, keeping the federal government open when budget negotiations falter before key spending deadlines. The End Government Shutdowns Act will create an automatic continuing resolution (CR) for any regular appropriations bill not completed by the October 1 deadline. After the first 120 days, CR funding will be reduced by one percent and would be reduced by one percent again every 90 days thereafter until Congress does its job and completes the annual appropriations process. Right now, the federal government is partially shut down and is the longest impasse in U.S. history. An estimated 800,000 federal workers are receiving no paycheck. Some worry about the effect on food inspections and security, travel and other key functions of government as the shutdown lingers. Democrats and Republicans blame each other for the problem. So what these socialists are saying they can pass laws WITHOUT the COMANDER IN CHIEF’S signature there by bypassing the president of the UNITED STATES ! ARE THESE PEOPLE COMMUNISTS OR WHAT ! your use of the word ‘socialist’ reminds me of today’s teenage SJWs who fully believe that a ‘bigot’ is anyone who doesn’t vote democrat. It’s amazing how those on the left “know everything”. If you don’t believe them, just ask them. These repubs are actually Rino’s or traitors and members of the socialist communist style demorat party of liars and thieves. When the Democratic representatives introduced the same kind of bill in the House, McConnell said it was dead in the water. He wouldn’t let it come to a vote in the Senate. We will see how this obstructionist reacts to this. What a hypocrite. Obstructionist, why because he wouldn’t let some thing come to a vote? How short of a memory do you have? When the Democrats were in control, very little could be voted on. Nothing if it was from a Republican. Now, the sooner these so called representatives of the people( haven’t figured out who they represent, since they don’t do the will of the people) grow up and quit the BS bickering, the better off the nation will be. I realize that now both parties are so polarized that if those running the party doesn’t say it than it isn’t to be. If they did their jobs they all would pretty much toss party lines out the window. To get this, we need term limits. I am not a Democrat, Nor do I think of myself as a Republican, but as an independent thinker. I read multiple sources about whats going on, then pick whom I think will best represent my ideals.This is hard to get now days when most of those in Washington are only home to campaign and maybe a few other days. They have no real idea of what the people want, only the loud few. How about skipping this BS and just stop paying the congress men and women no salary until they pass the damn budget – this smells like term limit/ comprehensive immigration poopy poo that has been going on for 3 + decades – PS – in the future if a career politican is running against a non political business man – VOTE PRIVATE SECTOR BUSINESSMAN IN ! MAGA MAGA MAGA !